Osborne sheds new light on old material, exposes some seldom heard Dylan gems and proves once again how flexible and powerful his work remains. From folk to county, blues to rock, pop to prog, jazz, gospel, R&B, metal and nearly everything in between, Bob Dylan’s music has proven to be remarkably adaptable to interpretations in almost every genre. And while it might be a stretch to imply that no one has gone broke covering Dylan’s tunes, the best songs in his extensive catalog come pre-approved with melodies and especially lyrics ripe for rediscovery. Enter Joan Osborne, no stranger to performing others’ tunes. The veteran singer already has three collections of blues and soul (and another dedicated to Christmas) covers to her name. She dug into Dylan’s fertile, sprawling catalog with a few extended two-week residencies in a New York City club where she performed his music to intimate audiences. This 13-track studio set follows those gigs and exposes the world to what the NYC folks got a taste of. 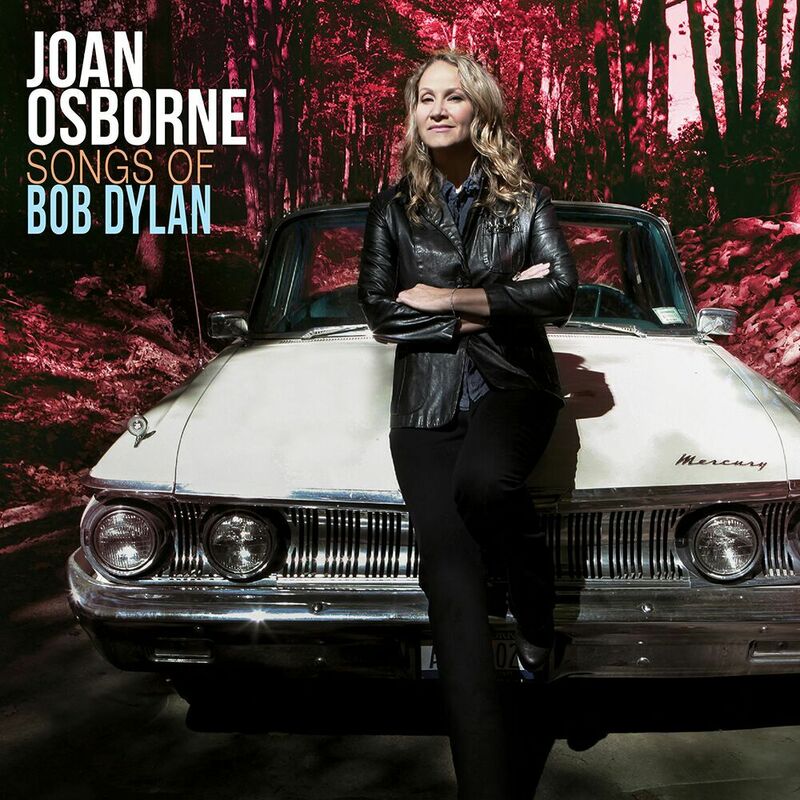 Osborne’s choice of material spans Dylan’s five-decade career. She tackles everything with an emphasis on well known — some may say well worn — ’60s tracks such as “Rainy Day Women #12 & 35,” a chilling, stripped down “Masters of War” and Basement Tapes’ era gems “Quinn the Eskimo” and “You Ain’t Goin’ Nowhere.” She digs deeper to mine later, lesser known selections like “Tryin’ to Get to Heaven” (from Time Out of Mind), “Ring Them Bells” (on 1989’s Oh Mercy) and “High Water (For Charlie Patton),” nicked off 2001’s Love and Theft. Some are radically rearranged with “Highway 61 Revisited” tamped down from its caffeinated Dylan reading and given a darker, swampy, Southern rock via “Whipping Post”-styled treatment. Others like “You’re Gonna’ Make Me Lonesome When You Go” and “Buckets of Rain” (two of three selections she grabs from Blood on the Tracks) stay closer to Dylan’s take. Osborne, recently heard in tough blues mama persona as front person for Trigger Hippie, restrains her approach here. The more measured, introspective attitude is better to appreciate Dylan’s words that run from the playful rhymes of “Quinn the Eskimo” to the darker, churchy “Ring Them Bells,” this disc’s stunning closer, accompanied by co-producer Keith Cotton’s stately piano. Osborne’s sultry, chocolaty voice adapts easily to Dylan’s songs, even his longer stories, exemplified by a Steely Dan-inflected “Tangled Up in Blue,” where Osborne does not mess with the male/female gender specifics. “Rainy Day Women …” gets the most drastic makeover as it steers into a slow, humid, swampy vibe with soft yet edgy slide guitar, a far cry from the Salvation band brass that dominated the original. The shot of soul Osborne infuses occasionally shifts the lyrical focus, showing where Dylan’s poetry can be interpreted in various ways. That’s the case with her version of “Spanish Harlem Incident” where the once-raw, ragged folk song now seems like an outtake from Dusty in Memphis, complete with sax. While covers albums are sometimes used to fill the space between the artist’s next set of self-composed songs, Osborne’s is different. She uses her artistry to take these Dylan compositions and, if not quite make them her own, show she has seriously considered how to re-interpret them with her own unique, sympathetic spin. She sheds new light on old material, exposes some seldom heard Dylan gems and proves once again how flexible and powerful his work remains.